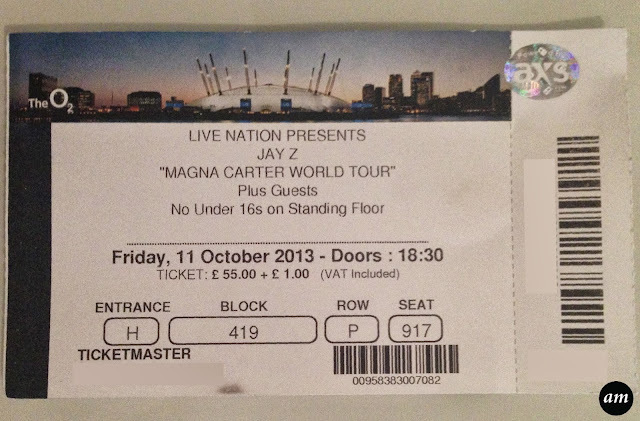 On friday night I went to see Jay-Z live at the o2 Arena in London, with my Mum, for his Magna Carta world tour. We've never been to the o2 before as we normally go to Manchester, but we could only get tickets for his London show. The o2 is really nice inside and has lots of restaurants and bars as well as the actual arena. 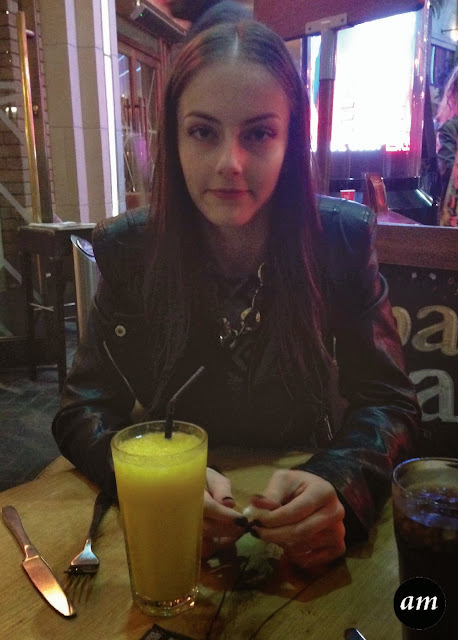 We enjoyed a Nando's before the show. 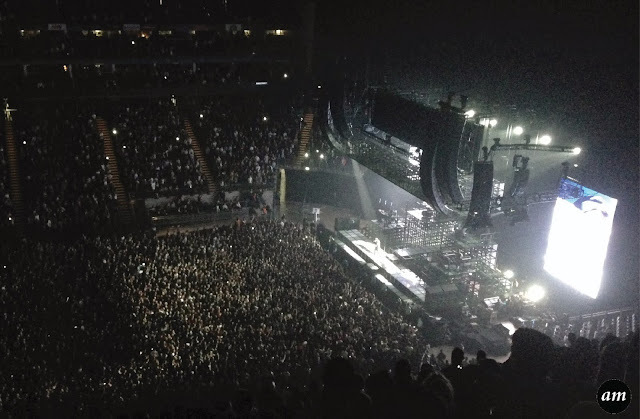 Unlike other concerts I've been to, Jay-Z's support act didn't come on first. 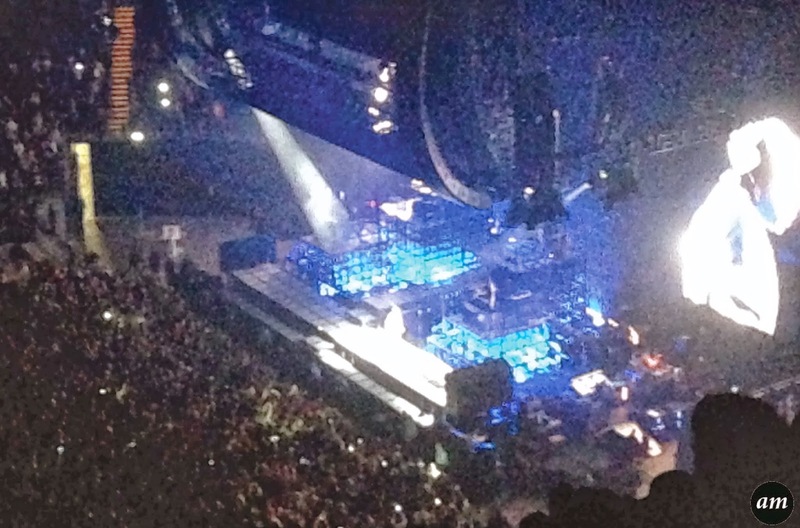 Instead, he filled in when Jay-Z went off the stage for a couple of minutes, which I thought was loads better than having to listen to the support act for half an hour. 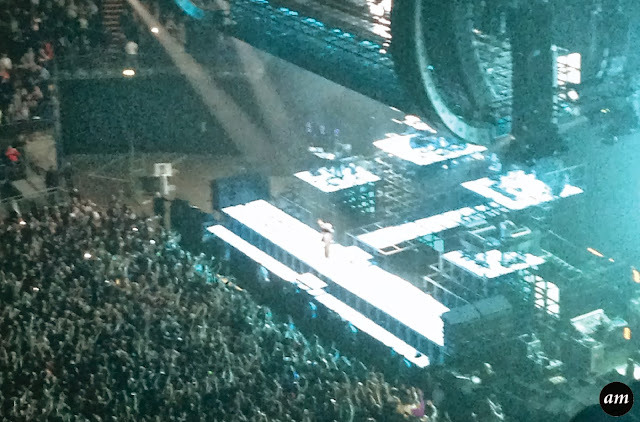 Jay-Z came on the stage at 9pm and finished at 11pm. 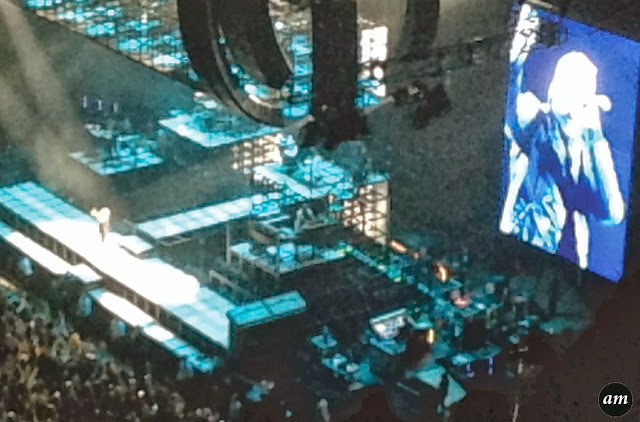 He rapped most of his new album, plus some of his old songs including "99 Problems", "Empire State of Mind" and "Run This Town". 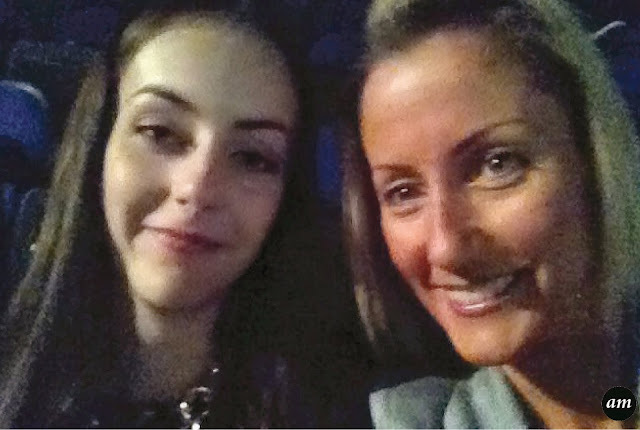 We both really enjoyed the concert - the atmosphere was great and so was Jay-Z. He rapped constantly which we thought was really good seen as other artists we have seen don't rap and still miss words out all the time. Have you been to see Jay-Z before?